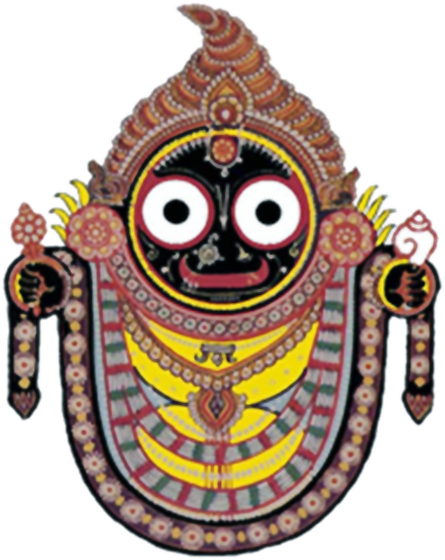 Sri Jagannath Krishna, His brother Sri Balabhadra Deva and His sister Sri Subhadra are worshipped in Puri in the famous Vishnu temple. Depending on the Vedic Date (Tithi), the deities adorn different Vesha. The word ‘Vesha’ means FORM and can be loosely translated as outfit or costume. The dais on which the three deities are seated is called the Ratnavedi Simhasana. Ratna refers to the gems and precious stones as well as 108 conches of various auspicious markings which are embedded on the dais. The three deities are dressed in different outfits for different occasions starting with the Mangala Arati (the first prayer offered in the Brahma Muhurta or early hours at about 4.00 AM). The last prayer is the Ratri Pahuda. Some of the important occasions for special Vesha are as under.